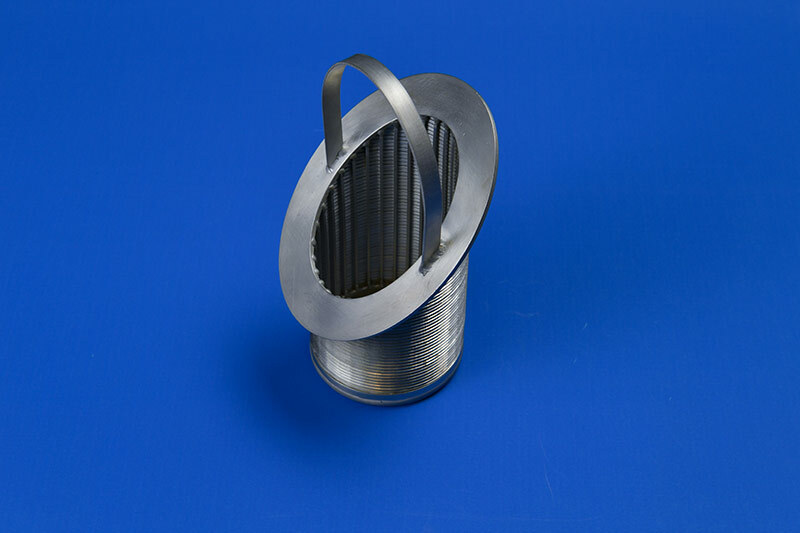 From the very simple slotted pipe inlet diffuser to licensor engineered inlet diffusers, WMP has the ability to fabricate the solution. With many styles and options, WMP is the one stop solution provider with years of experience in inlet diffusers. Catalyst Hold-Down or Floating Screens are used to help contain the catalyst bed or selected media while aiding in distribution of the feed. Additionally, they minimize catalyst bed upsets during any up flow condition or regeneration cycles that the vessel may be subject to during its operation. 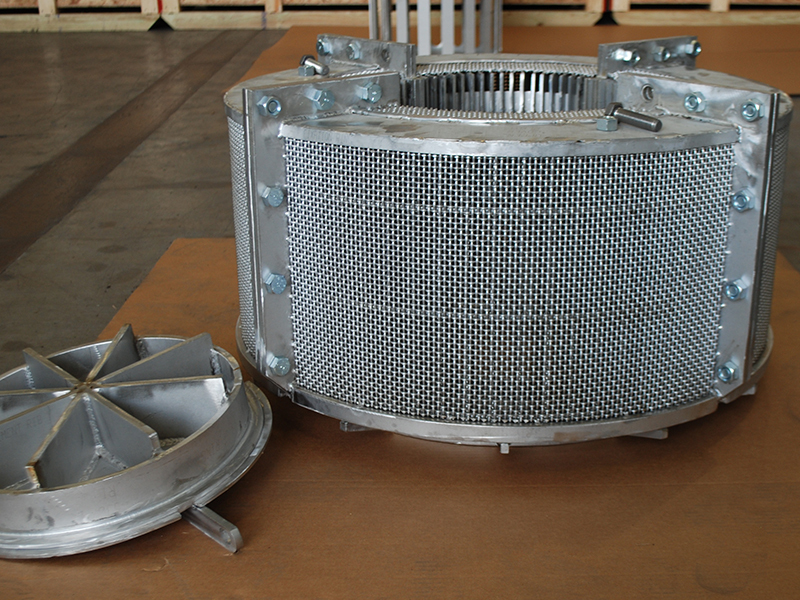 WMP offers a variety of options including perforated plate, profile wire, knitted pads and wire mesh. As a global partner for most licensors in the industry, WMP continues to exceed manufacturing and quality expectations. Depending on the process requirements, WMP will fabricate new engineered solutions or complete as-built replacement trays or individual sections/panels within the tray. 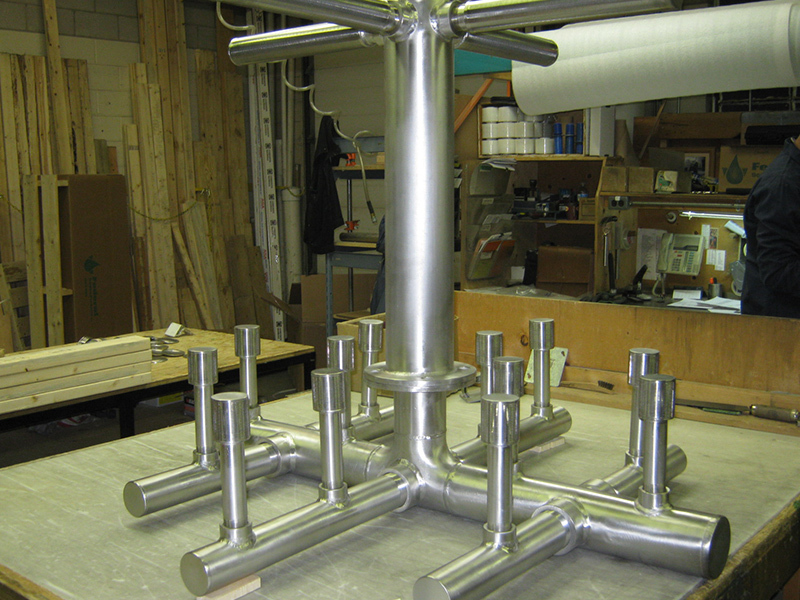 With many common materials in-stock or readily available, WMP can promptly address all of your fabrication needs. WMP support grids offers superior media containment and process improvement solutions for many applications including hydrotreaters, hydrocrackers, molecular sieves, horizontal sulfur recovery units, adsorption units and many others. WMP will provide solutions from simple overlay screen replacements to the robust de-bottleneck solution of the OSG as WMP manufactures all support grids to exact specifications, always working to provide the best solution. WMP support beams are integral not only to reinforce the catalyst support grid, but also to provide sealing along each edge with a perfect fit. 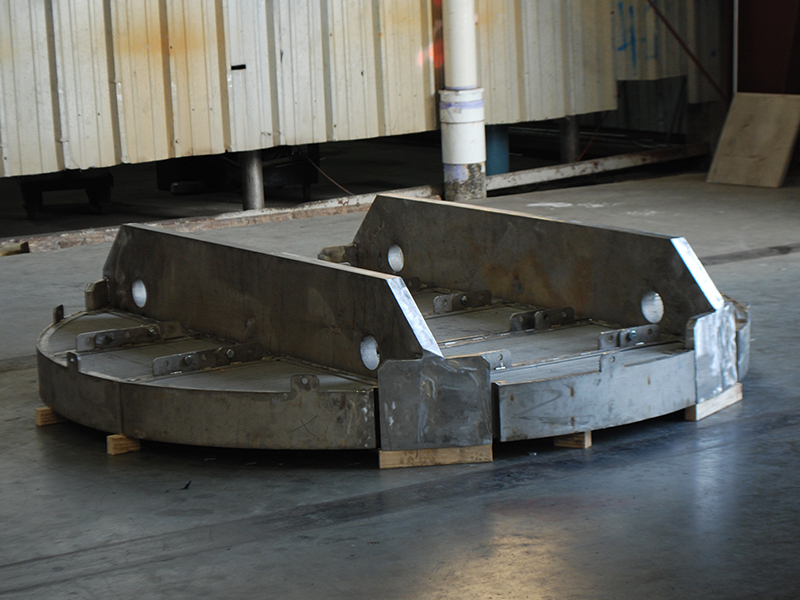 Regardless of the beam construction required, WMP has the equipment and expertise to provide a solution. WMP has many years of experience with various configurations of T-beams, inverted T-beams, Open Web (lattice beams) and I-beams to name a few. WMP relies on multiple welding techniques, often using submerged arc, gas tungsten arc and other welding processes. With WMP wide range of in-house machining capabilities and overhead crane capacity, WMP can easily handle any size of project. 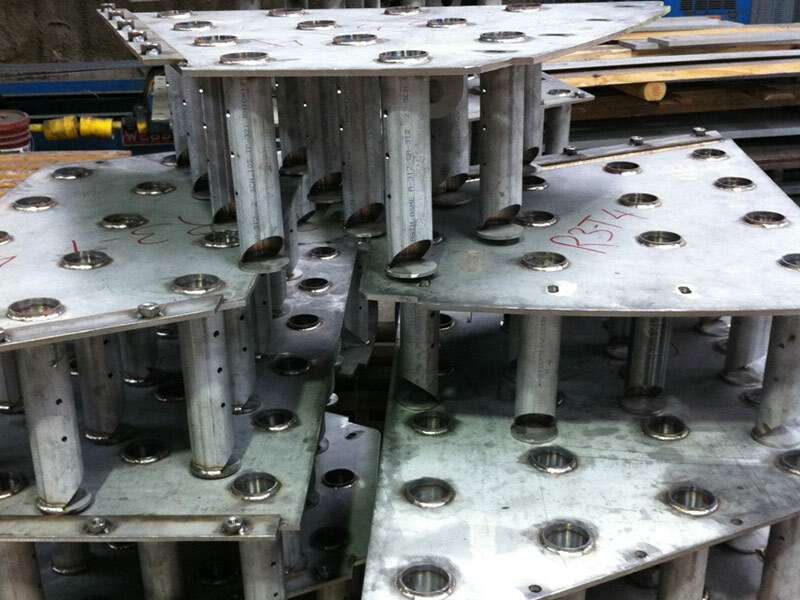 Matched with WMP engineering and fabrication of support grid systems, WMP can fit beams and grids together for complete pre-installation fit-up which helps to ensure ease of installation in the field. WMP’s close relationships with all suppliers and mills allows for a wide range of material options, construction options and tight turnaround times, making WMP a clear choice for support beam fabrication. 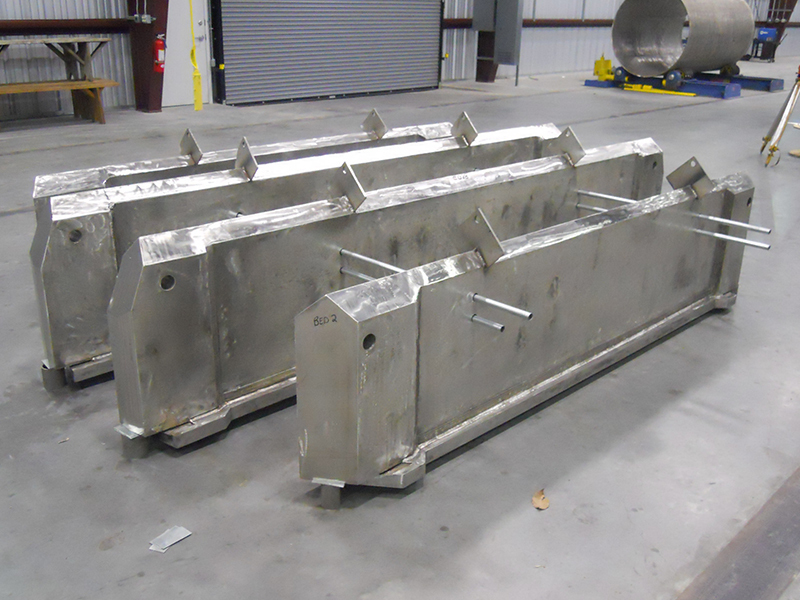 WMP header and lateral systems are designed and fabricated to provide an efficient full bed utilization and containment solution. They can be engineered or replacement in-kind solutions to optimize specific process conditions. There are a variety of options including perforated plate, profile wire and precision cut and/or formed pipe. WMP’s laser precision of pipe fabrication and the ability to be agile with a variety of needs makes them ideal for multiple applications.